Elections Commission has rejected three candidates, and one candidate has withdrawn his candidacy from the Parliamentary Election scheduled for 22 March. 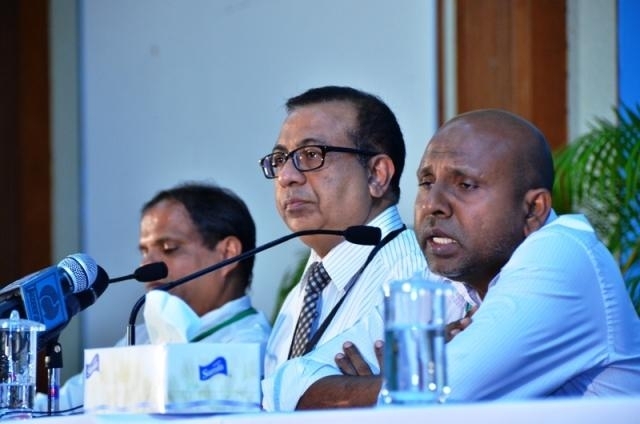 In an interview today, Director General of Elections Commission Mohamed Shakeel told Sun Online that out of the 314 forms, the candidates who were rejected by the commission as well as the candidate who withdrew his candidacy, are all independent candidates. He did not reveal the names of the rejected candidates, but said that they had submitted forms for Maafannu Medhu, Shaviyani Milandhoo and Thaa Kinbidhoo constituencies. They were rejected because their information forms were incomplete. The candidate who withdrew his candidacy is Mohamed Rameel, who had applied to contest Maduvvari seat. Shakeel said that candidacies can be withdrawn until drawing of lots to determine candidate order on ballot papers is completed. Elections Commission initially said that 316 forms had been submitted as application for the Parliamentary Election, but later said that this was an error and the number of forms submitted was 314. Drawing of lots to determine candidate order on ballot papers will be conducted today and Saturday.